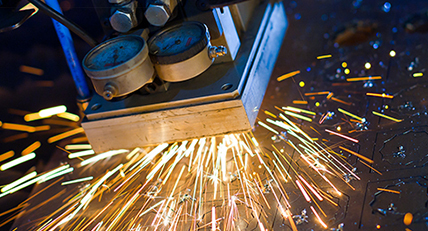 At Boyle Tool & Die Co., our extensive experience in the design and engineering of complex tooling allows us to provide assistance in the optimization of a wide variety of other component and assembly types. The part shown here is an oil cooler used on motorcycles. The customer contacted us with their initial design and requested an aluminum prototype. After reviewing the design, our engineers were able to suggest changes that reduced manufacturing costs and improved functionality of the part. Ease of assembly, strength, durability, and fluid dynamics are all factors that we must consider when designing dies and tooling. These factors are also directly applicable to a number of other products, including this oil cooler. The improved design measures 3.375” in length, 3.250” in diameter, and was machined to tolerances of ±0.0005” using CNC milling and turning centers. The finished part was treated with a clear anodizing hardcoat for added corrosion and wear resistance. We sourced the necessary gaskets for the oil cooler and packaged the part according to customer specifications, providing the customer with a single source solution encompassing everything from concept through completion. The total time from design to prototype for this project was only two weeks. 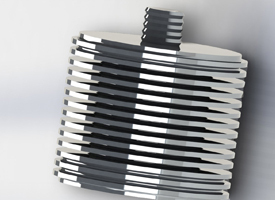 In all, 300 oil cooler prototypes were machined and packaged for our customer in the automotive industry. As a result of the level of service and quality provided, this customer has continued to partner with us for a number of development projects. For additional details regarding this custom design and prototyping project, see the table below, or contact us directly. 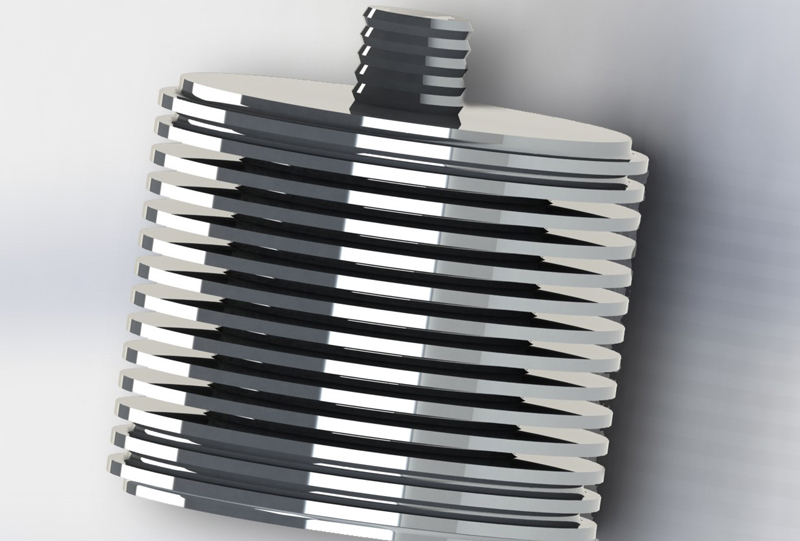 This oil cooler prototype cools oil on motorcycles.